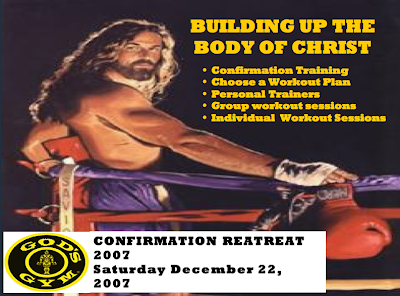 A friend of mine is leading a confirmation retreat soon. This is how she is promoting it. She might want to fix the spelling error "Reatreat"
yeah, Im all for humor but blasphemy's never been my cup of tea. Yikes. you know skip? i had a class with her a few years ago. tell her i think it's awesome.